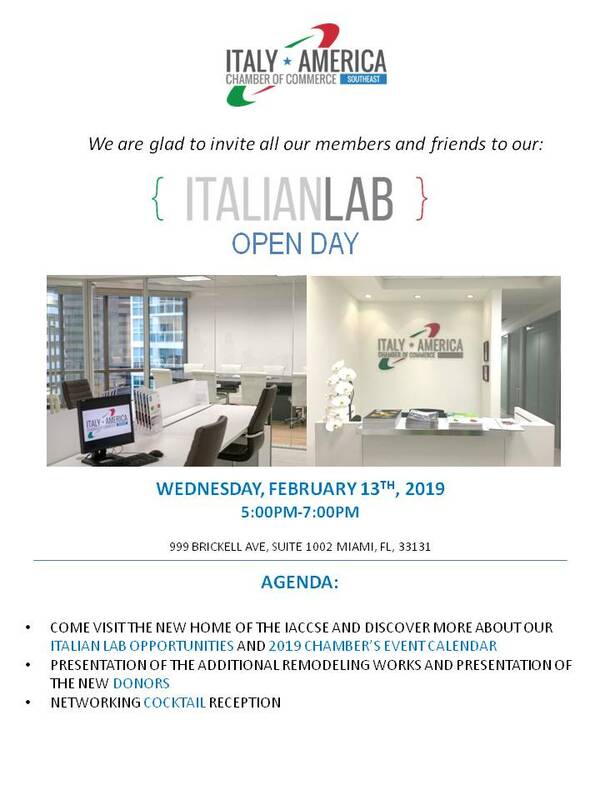 The Italy-America Chamber of Commerce is getting ready for the, “Italian Lab Open Day” on Wednesday, February 13th at our IACC office, located on 999 Brickell Avenue, Miami. 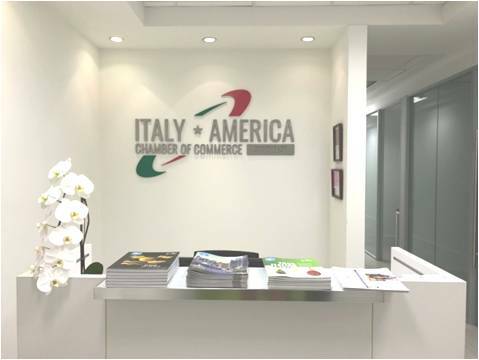 Members, friends, and business professionals are all invited to come and learn about our new Italian Lab services and opportunities, discover the 2019 event calendar and see what the Chamber has in store for the New Year. 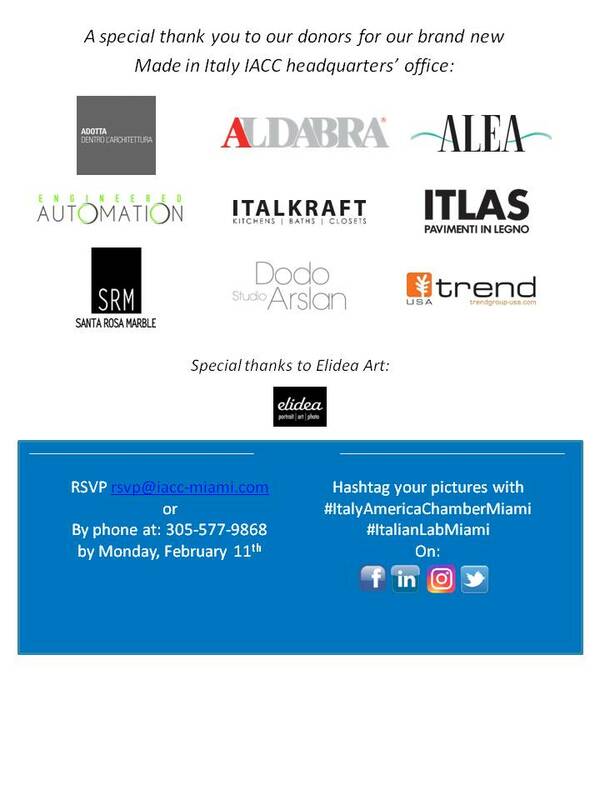 We will also be introducing our new donors who have added their touch of design to our Made In Italy office: Aldabra, Trend Group and Italkfraft. We are thankful for Aldabra who donated new professional shangahi lights for our conference room, Trend Group who contributed to our kitchen with their gorgeous mosaic glass and quartz counter-top and of course Italkraft who donated a spectacular kitchenette. During the evening, there will be a networking cocktail where guests will have the chance to enjoy a selection of some Italian bites and wine while interacting with other professionals.